Protect The Mach Forest- 2 popular mountain bike trails forest zones threatened – ELF Announces the Launch of a New Protection Campaign…. ‘The Mach Forest’ slated to be logged by BCTS. On the lower slopes of Mt. Elphinstone, run 2 popular mountain bike trails: ‘Mach Chicken’ & ‘Twister’ that have their forest zones threatened by clearcut logging. 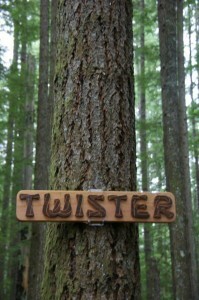 BC Timber Sales has completed surveying for a cutblock that runs clear across Twister and up to Mach Chicken. ELF is naming this forest ‘The Mach Forest’ to bring attention to its close proximity to ‘Mach Chicken Trail’ and the play on the word ‘mach’ which suggests something extraordinary. The extraordinary thing about this forest is the high number of towering, old-growth, Douglas-fir trees that withstood the wildfire of the mid-1800s. 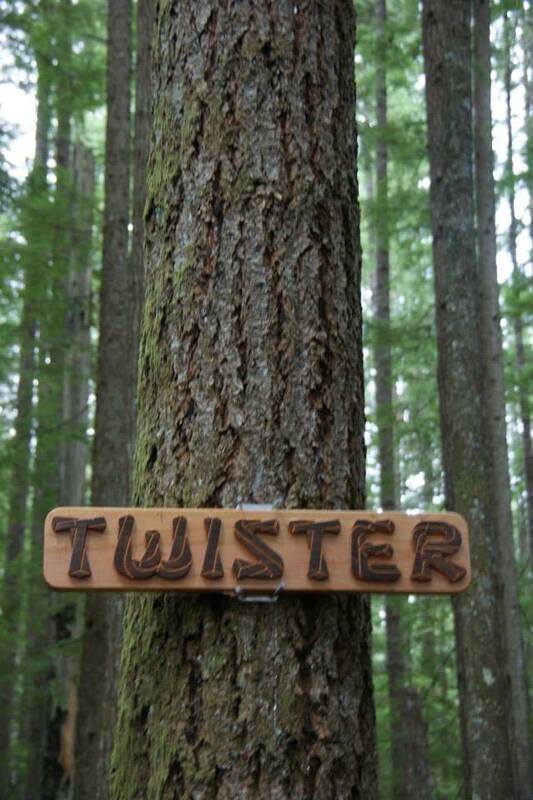 Check out the Protect the The Mach Forest campaign page and its photos for a small sample of the big trees in here and the amazing Twister Trail. Then, take action by contacting BCTS’ Norm Kempe at: norm.kempe@gov.bc.ca and tell him to cancel logging ‘The Mach Forest’, or as they know it by Blk A87125. See The Mach Forest Campaign – under the Campaigns tab or Click Here. See our Facebook page by clicking Here.